Being a Dad isn’t always easy, but it's the best thing I ever did. I’m constantly improving myself to be the best Dad I can be through fitness, nutrition, mindset and lifestyle. As father’s we pass on many things to our children such as our mindset, our habits, our attitude and what we’ve learned along the way. Each of these will shape who our children are and who they will become. The Warrior Dads mission is to help you become the healthiest version of yourself, hone your edge, and live with purpose. That means talking about mindset, fitness, nutrition, parenting, personal protection. Episode 15 - Should you really warm up before exercise? Today I have the pleasure of speaking with Mickey Schuch from Carry Trainer. Mickey and I get into some awesome conversations about having the right self image and having a successful mindset with the right kind of self talk. You can find out more about Mickey by following him on social media @carrytrainer or by going to his website: carrytrainer.com - he has some live, in person training programs coming up so be sure to check them out. Please subscribe and keep on being a Warrior Dad! Today's episode is with Troy Casey, also known as the Certified Health Nut. Troy gets into his background as a Versace model then working on getting his health and gut right with herbal medicines, cleansing and mindset. You can find out more about Troy and his work on Facebook and Instagram @certifiedhealthnut as well as his website: certifiedhealthnut.com Please subscribe and keep on being a Warrior Dad! This is the intro for the Warrior Dads Podcast. Thanks for listening! 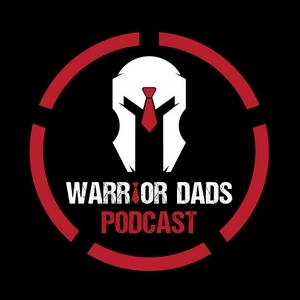 This is the very first "episode" of the Warrior Dads Podcast with your host, Jim Burdumy. This is an intro to the podcast and what you can expect. As well as a little bit about Jim, his background and why he started the Warrior Dads. Please subscribe and thanks for listening.